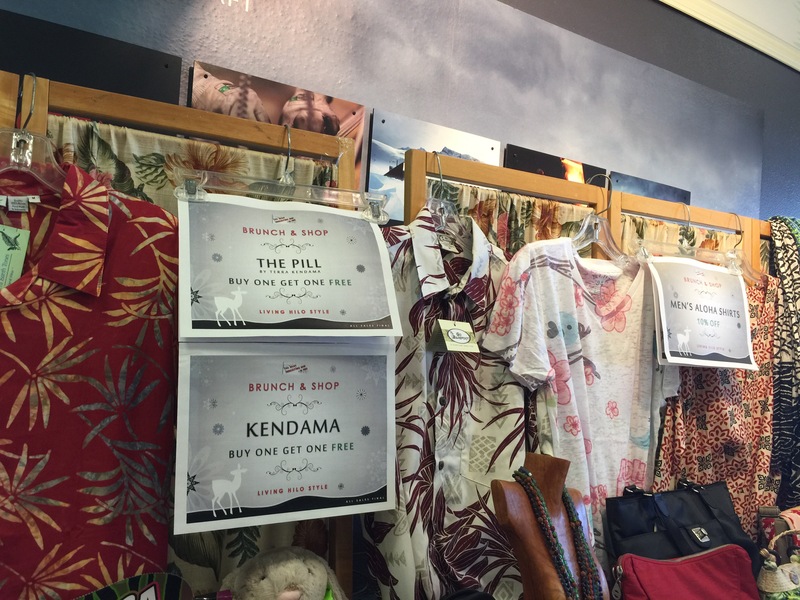 Living Hilo Style partnered with The Most Irresistible Shop in Hilo owner Tracie Yoshimoto to bring a “Brunch and Shop” event to downtown Hilo. This event was more than just a shopping event, but was also a fundraiser to support Child and Family Services, a non-profit organization supporting Hawaii’s families to help them address serious life issues, with life-changing results. The $20 donation to Child and Family Services allowed customers to enjoy a casual brunch pupu buffet with food donated by Imiloa’s Sky Garden Restaurant. The pot stickers and happy rice were yummy and the brownies and butter mochi were very popular! In addition, the refreshing POG mimosas complemented the light pupu fare perfectly. For the serious shoppers, the $20 charitable donation allowed shoppers to take advantage of special discounts throughout the store as well as a chance to get a goody bag and win door prizes! Our awesome Hilo shoppers came out in force to support our community and one of our favorite small businesses in downtown Hilo. 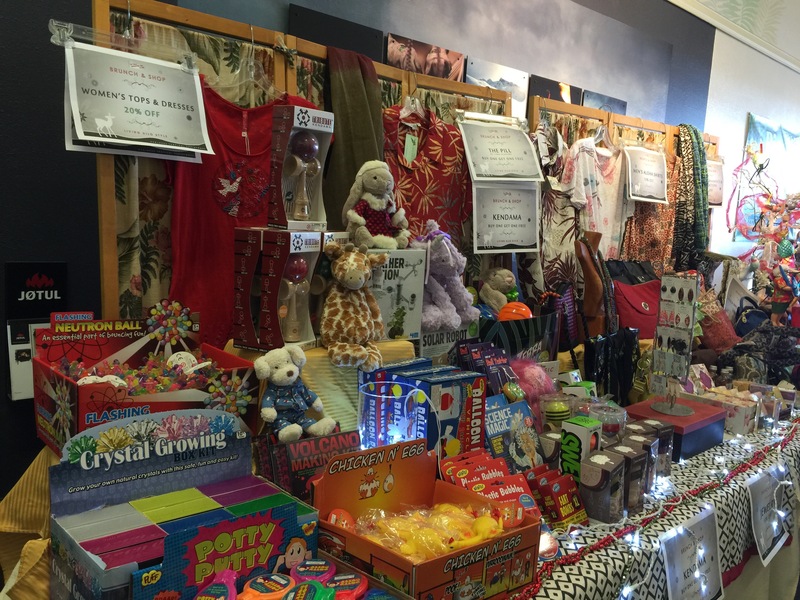 There were special sales on toys, clothes, ornaments, and more! Items on Christmas gift lists were being checked off. I hope you get something from The Most Irresistible Shop in Hilo under your tree! I bought the cute hat you see me wearing in the first photo. Where and how do I wear it? I want style tips, please. At the end of the day, Living Hilo Style and The Most Irresistible Shop in Hilo were able to raise $1020 for Child and Family Services. What a great way to spend a Sunday. Shopping, eating, mingling, supporting a local business, and a nonprofit organization that helps families in our community. Thank you to all the Hiloans who came out to support Living Hilo Style. Doing good while doing well. Hope to see you at the next event!